Description: A witness. Such a simple concept - and yet for Dexter Morgan, a perfectly well-disguised serial killer, the possibility of a witness is terrifying. As an upstanding blood-spatter analyst for the Miami Police, Dexter has always managed to keep the darker side of his life out of the spotlight. An expert at finding truly bad people - murderers who've long escaped justice - and giving them his own special attention. But now someone has seen him in the act. 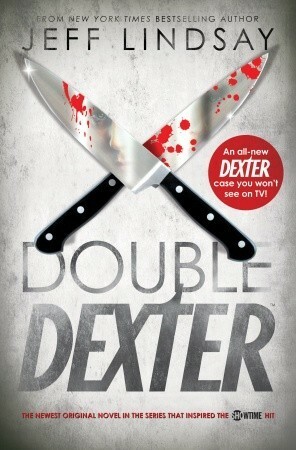 Dexter is being followed, manipulated and mimicked, leading him to realize that no one likes to have a double - especially when his double's goal is to kill him. "That's it," she said. " You looked inside, threw up and called it in?" "I came, I saw, I blew chunks," Vince Masuoka muttered beside me, but happily for his health Deborah didn't hear him." "They were staring at the body and, to their credit, one or two of them actually tried very hard to look horrified as they craned their necks to see. Of course, most of the others made up for it by leaning forward over the tape to get a better picture with their cell phones. Soon the pictures of Officer Gunther's smooshed corpse would be all over the web, and the whole world would join together and pretend to be appalled and dismayed in perfect harmony. Isn't technology wonderful?" "This was obviously a subject close to Frank's heart, and I wondered if I had misjudged him. Anyone with such a passion for lethal vegetation couldn't be all bad."